Here's your chance to Win a free package of beads from Discount Delicas! 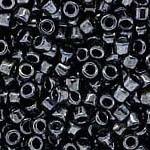 Each week we give-away a selected 25 gram package of Delica Beads. Just enter your e-mail address below to enter our weekly contest. You'll be notifed via e-mail if you win! Please fill out this form and click the Submit Information button. Winner will be drawn at random on each Monday morning from all entries received during the previous week. A new contest will begin after the winner has been notified. To enter, just type in your e-mail address. Please enter it carefully: you can't win if your e-mail address bounces! Your e-mail address will be kept confididental and will not or disclosed to anyone outside of Discount Delicas. Winner will be notified via e-mail on Monday Morning. Winner will have 48 hours to respond via e-mail.